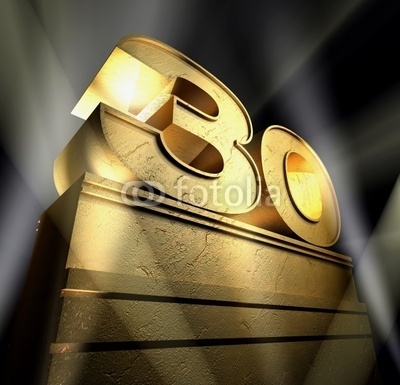 Everywhere I go lately, I hear people talking about hitting 30 and what they’re planning to do when that happens. I met two of my friends at the weekend who will be 30 along with me and we talked about how to celebrate it then someone at work is planning a holiday for her boyfriend’s birthday and then Nicole write a post about what she’s trying to achieve before she reaches the milestone. I suppose 30 is the next big birthday after 16, 18 and 21 so everyone wants to celebrate in style. But it’s also an age where you are truly an adult and you’re at the age when you’re expected to do grown up things like get married and start a family so it’s seen as a landmark moment in life. I feel a bit strange about hitting 30 in 2013. When I was younger it seemed so old but now I still feel like I’m 16! I don’t want to get too stuck in completing certain goals before this landmark ad it’ll only make me feel like a failure if I don’t hit them by then but I do want to recognise the importance of the birthday and do something I’ll remember for it. What did you do or what are you planning to do to celebrate being 30? Eh, I don’t know what I’ll do when I hit 30 yet. I’ve still got seven years to go! But to me, age is just a number – how you feel on the inside matters. It may be a cliche, but it’s true! You’ve got a while to think about 🙂 I agree, it’s a cliche for a reason – it’s true! I’m now 41, so 30 is a distant, blurry memory. You have a great style, Little Miss Vix; keep it up! Haha not that long ago 🙂 Thanks Hook! Age is just a number, says the person who is slowly approaching a much bigger landmark birthday . . . but seriously, celebrate life and don’t worry whether or not you have achieved everything you thought you would. The journey is more valuable than the goal, I really believe that. For some strange reason 29 was a much bigger deal tome than 30….maybe it’s because people tend to joke that they stop having birthdays at 29! I was the same way Suzicate. The ‘9s get me down more than the zeros. I’ll let you know how I feel when I get there, I’m nervous now! I don’t really think of 30 as being that big a deal. Maybe I will when I’m 29? I know too many people who freak out about their 30th year (whether it’s come yet, or not). I’m not on that bandwagon. I just wanna live, whatever year it is. My 30th birthday, I’ll probably do sometihng super fun, like I’d planned to do for my 25th birthday, when I thought money may have fallen out of the sky to pay for it. I’m glad you brought this up so I can start saving for it, using the envelope method. 30th bday: Party hats, those horn blowy paper-flies-out thingies, bouncing castle, cotton candy, face painting, musical chairs, awesome prizes, party bags… A good ol’ time, really. In someone’s giant backyard. It’s gonna be GREAT! My adult friends better show up in cool party clothes, like overalls and skorts and ish. You know what… I think people may have to pay to get in… This is gonna be expensive! Yeah you’ll hvae your 21 first woo! I’m dreading 30. I feel like it’s such a milestone that it forces me to realize what I haven’t accomplished and I don’t want to go there right now. Hopefully, I won’t be such a negative Nellie when the time comes around, the whole aging thing is freaking me out right now. Haha I feel that way some days too. It is a scary milestone! I don’t remember what I did when I turned 30 – for whatever reason, I was looking forward to turning 32. Now, 10yrs later, I am 42. Every birthday is a wonderful celebration and beats the alternative! (smile) Keep celebrating Vix! 30 wasn’t too spectacular a celebration, although I did send my 30th birthday “Gandeb” letter to friends! My sister and BIL flew down for two days, culminating in a birthday evening party for which Ba.D. drove like mad to reach from Nevada. I haven’t hit the big 30 yet but when I do I’ll prob go to Vegas! I say you take a fun trip! !